Training and support to help you get started in a new role, develop your career, use University systems, manage people, and stay safe at work. Find mandatory and optional training for your new job, whether you're new to the University or continuing your career here. Mandatory fire safety awareness training for all staff. If you're a new member of staff, you must complete the course and the test. Training to highlight how you can understand and accommodate all employees and colleagues. Online courses for members of staff working in accommodation and hospitality. Find courses and guidance to help you use the University's online services and computer software, including well-known programmes and University-specific systems. Request training on the University Print Services' Sharp printers from a member of the support team. Submit a request for you or your colleagues to have training on our digital publishing platform. Learn new skills and develop your career through training, coaching and online resources. 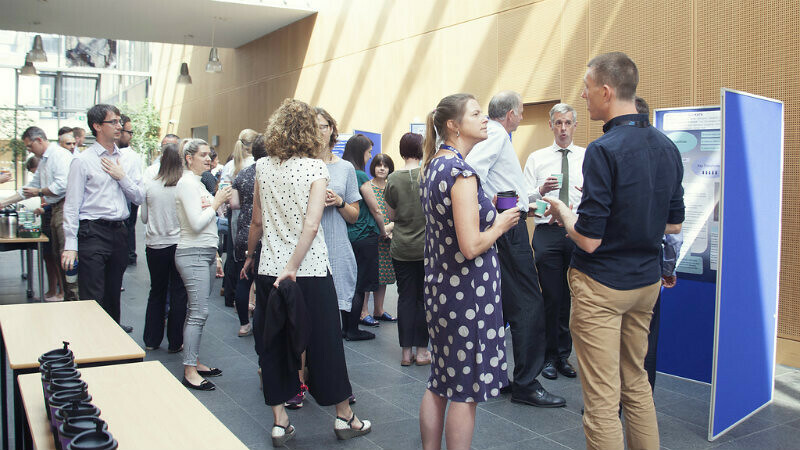 We support staff in the delivery of high-quality learning and teaching and facilitate the career development of staff who teach and research. Determine if the University Coaching Service is a suitable approach to help you address your career development or a specific work-related challenge. Develop your management skills and get the best out of your team, whether you're aspiring to be a manager or want to build on your existing experience. A two-day course for line managers to further develop your understanding of management and leadership techniques and to consider their practical application. A programme aimed at women up to Senior Lecturer level, or equivalent in professional services, to develop the leadership side of their careers. Make the most of your annual performance review and take the mandatory course for line-managers about conducting your team's SDPRs. A course for all staff to help you get the most out of your Staff Development and Performance Review (SDPR). A mandatory course for all line managers before conducting your first Staff Development Performance Review (SDPR) at the University. A course for all staff in the Education and Research job family to help you prepare for your Staff Development Performance Review (SDPR). Find training and support about our policies for recruitment, bribery and data collection, as well as our approach to ethical research. Security of Information is crucial to the University. Staff can access the information security module and the information classification framework. A course to help recognise the policies and procedures put in place to prevent you from being a victim of bribery. A course to help understand the implications of the natural biases we all hold. Training to help you meet the highest ethical standard in your research. An overview of the University's policies and procedures for recruitment and selection, and your legal responsibilities. Take courses to help you look after yourself and others in the workplace. A one day course for staff which teaches you how to identify, understand and help a person who may be developing a mental health issue. Courses that provide training on how to deal with difficult work situations. Find out about creating user-friendly content on the website, making public engagement opportunities for your research, or reaching people through social media. Work with Public Engagement to engage non-academic communities with your research. We provide funding, opportunities, training and recognition for engagement. Apply for learning and development opportunities in other countries. If you are an academic or administrative staff, you can carry out a period of teaching or training at one of the University’s Erasmus+ partner universities. Discover vocational and extracurricular courses that inspire and engage. Our arts and creativity hub offers exhibitions, performing arts presentations, talks, arts classes, family and community events. Team Bath is the name and logo which binds together all the activities of the Department of Sports Development and Recreation at the University of Bath. We provide foreign languages courses, peer-assisted learning programmes and events as well as managing resources through the Language Learning Zone.